Following three cold-call attempts to defraud Borders residents yesterday (Wednesday) police are reminding people to be vigilant. 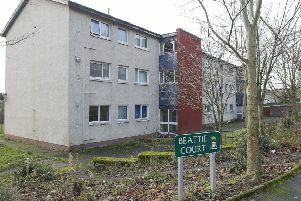 On three separate occasions, three homes in Hawick, Lauder and Kelso were contacted by callers claiming to be from HMRC. Each call stated that money was owed to the organisation and attempts were made to have money transferred electronically. None of the attempts were successful, but police want to ensure communities do not fall victim to this scam. Acting Sergeant Stuart Taylor said: “All of those who received this call did the right thing by refusing to make any payments and terminating the phone calls. “We would like to remind the public that HMRC will never contact you by telephone to ask for payment and should you have an outstanding sum of money to pay to them, you will receive official written correspondence. “These bogus callers can sound extremely convincing and will look to use intimidation and pressure tactics to extort money from you, but please do not be taken in.